At my Thursday night Bible study one of the ladies asked prayer for her son-in-law that had some personal problems. She said she was tired of putting on the pretense of having a “perfect” family and was coming clean. She was tired of hiding for the past 25 years all the problems and difficulties just to put on a happy face so she wouldn’t be judged as a bad parent. We’ve had our problems. We have adopted some kids with emotional, physical and mental problems. I’m sorry if some people can’t handle that. I’m even sorry if they don’t like our family. But you know what? I do. I like my family. I like how diverse it is. I especially like having the different races. I actually feel sorry for the families that have all white kids in it. I think that’s boring. I feel sorry for families that have easy, compliant kids (I’m jealous at the same time!). 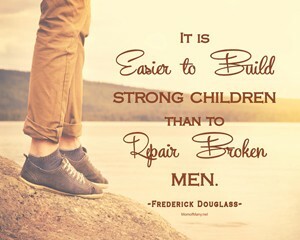 They will never know the thrill of seeing their kids find God through the pain and heartache of reconciling their past. We’ve had kids punish us for the pain that their birth parents inflicted on them. But I’ve also had the same kids call me up years later and tell me through tears that they are sorry, and thank me for adopting them because they were glad they didn’t have to grow up in their birth families’ homes. I’ve had kids complain to others about how mean we were as parents and swear they’ll never have anything to do with us when they move out. I’ve had the same kids come back and tell us we did the exact right thing in how we disciplined them and kept them safe during their growing up years. I’ve had kids tell me they hate me and then just a year later put their arm around me and tell me I’m the best. I’ve had children threaten me with knives and then just a couple of years later tell me they miss me and want nothing else but to come home. I’ve had children tell me I didn’t know what I was talking about only to call me up years later and tell me that they’ve been hearing my words come out of their mouths! I’ve had children go around telling my friends, coworkers and even my boss that we were abusive and then just a couple of years later turn around and confess they had lied out of bitterness that had welled up in their soul years before we adopted them. God is so good, and each time one of our kids makes a turn around and gets their life right, I thank Him for it. Most families don’t experience these things – because they chose the safe route. We didn’t. We chose to care for other people’s children when they chose to not do it themselves. We took broken, damaged kids and tried to turn them into loving, responsible, Christian young people. OK, so shoot me for trying. Yes, those who have judged us as failures haven’t seen what we’ve seen. They haven’t experienced what we’ve experienced. They’ve not walked in our shoes. They’ve not seen the victories amidst the failures. They’ve determined in their mind that if our kids don’t learn to follow God perfectly before they are 18 then they must not have been taught properly or we had to have mistreated them in some way. Well, some day the truth will be revealed and all those who judged us so harshly will see their mistake. But then, you know what? It will be too late. Their chance to love and support our family will have passed and both of us unfortunately have missed a blessing. They have missed the blessing God would have given them for being kind to a struggling family. We missed the blessing of having someone love and care for us in the midst of a difficult journey. But God knows, and has fortunately made up for it by loving us through it all and shown us spiritual truths that not many have had the privilege to see. We have a great family. We’ve had our ups and downs, but I am confident we’ll all be together some day and relish in God’s goodness. April, you are one of my best friends and thank you for showing us how blessed a parent can be. I miss you more than I can put into words. Thank you for giving me two angels that make life worth living. Your solid faith has encouraged me. Lauren, I miss you so and am very glad we have a good relationship. You have so much talent and strength – I know you are going to do great things for God. I just love talking with you. You are like a buried treasure. Katie, when I think of someone loving God, I think of you. I am so very proud to tell others about you. You are like a gem of the highest price to me. Raising you was a true blessing. You’ve got it all and someday someone will wake up and realize it! Jesse, we hope that your searching will one day bring you to your perfect place in life. You have grand ideas and goals that if realized will make a difference in the world. God and your family are waiting. Devin, you are an example of true regeneration. You remind me of why we adopted. When I think of you, I think “success.” Thank you for discovering that you love your parents. You’ve made it all worth it. You are the “miracle of adoption” proven. Nathaniel, you are destined for great things. We have enjoyed watching you pursue your position in the Marines and hope God can use you to reach others. Your family misses you. Andrew, thank you for caring about your family. I have always known you loved us even when you were fighting for your independence. I have always adored you. You have a special gift of drawing others to yourself and making the most sober person laugh. Marissa, you will always have a piece of my heart. You were the one we all thought would go on to do great things for God. You have given me a precious granddaughter that is like a piece of heaven to me. Daniel, you have come so far. You had no language for years, but now you talk circles around everyone. Your potential is astounding and have proven that hard work can transform a person. Mollie, you are beautiful and talented. We miss you and hope some day we will be close friends. Every day I hope you will call and tell me that you love and miss your family and want to come home. Jillian, you are my body balm. God chose you to be my happiness. You are one of my favorite people in the whole world. I miss you more than I can say. I am proud of who you have become. Jonathan, I love your love for children and find it a precious gift not everyone has. God gave you a special heart that He can use to do great things. You are going to make a difference in the world. Jacob, your calm peaceful sense of living is an encouragement to me. When I saw you give your heart to God and live for him it renewed my faith in God’s success in changing hearts. Your spiritual growth has increased my faith. Levi, your talent and enthusiasm for life has brought us such fun. Seeing you love your sisters has brought new life into our family and given me hope. I am so excited to share a love for art with you and can’t wait to see what you do with it. Caleb, I am so looking forward to having you back home and part of our day-to-day family living. Remembering your sense of humor and laugh are enough to make me smile. We have such hopes for you. To all my children who are living for and loving God, thank you – you make life worth living. To those of you who are seeking Him, I pray you find Him – He’s right beside you, just turn and look. To all my children who are running from God, slow down and let Him embrace you – there’s peace and joy in His presence. I will never forget those of you who have truly loved us…you have made some very weary travellers in this life feel the love of God and have the strength to bear up under the trials of this life. God will bless you for your love and support.